Over an acre of fun at Circus Circus Las Vegas Splash Zone. 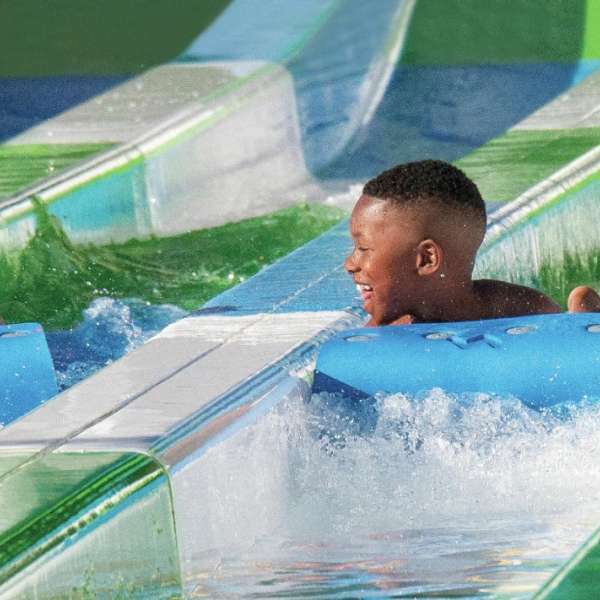 Swimming pools, whirlpools, water playground and a 50 ft slide tower! 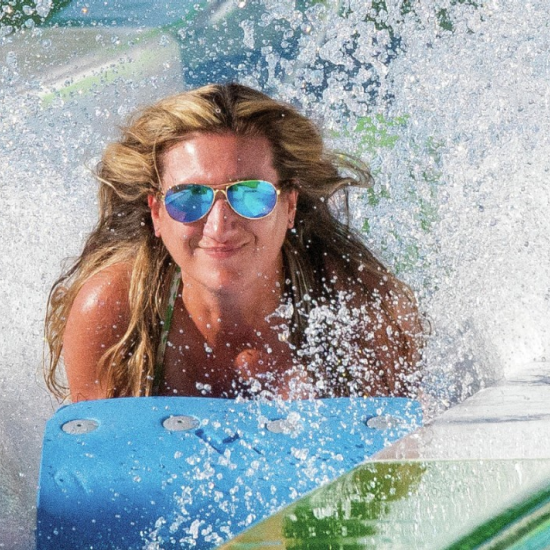 Add splash to your summer in Splash Zone! 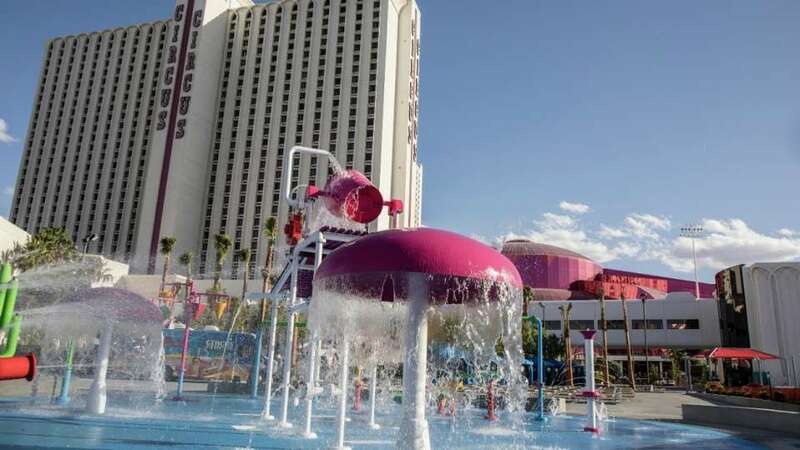 Circus Circus' newly expanded pool experience features a 50' waterslide tower with three exciting slides, Splash Pad - an all ages water playground with waterfalls and splash buckets, plus Splash Snacks food truck and Cabanas for rent. 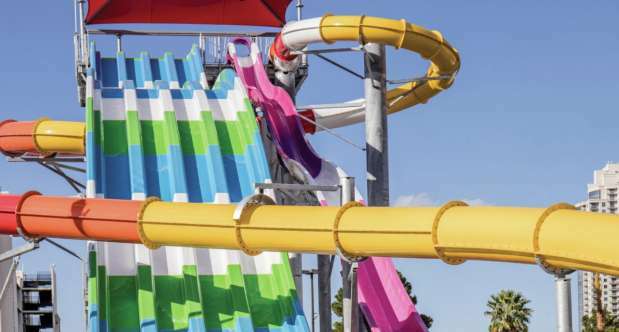 Featuring three slides – Mat Racer, Aqua Tube and Speed Slide. 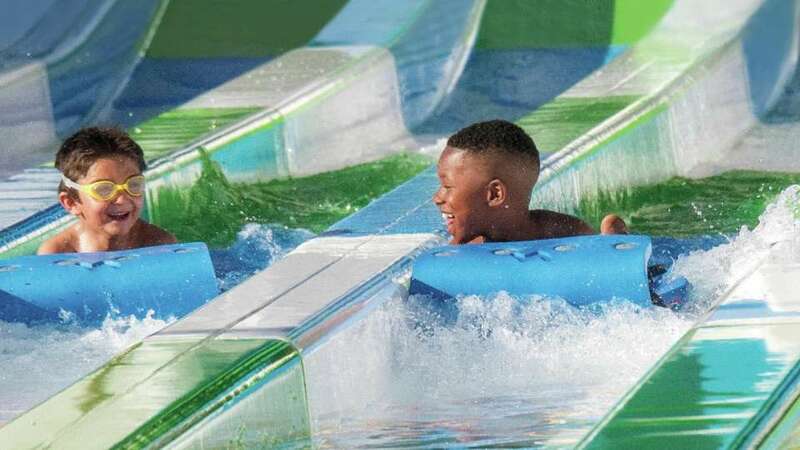 Sliders must be 42” or taller to ride the Mat Racer, and 48” or taller to ride the Aqua Tube and Speed Slide. Splash and play all day with water cannons, spill buckets, rain trees and more. Turn, pull and throttle the interactive water play space. Children under 6 must be supervised by an adult. And, of course, everyone should be prepared to get absolutely drenched! Two refreshing pools and relaxing whirlpools. 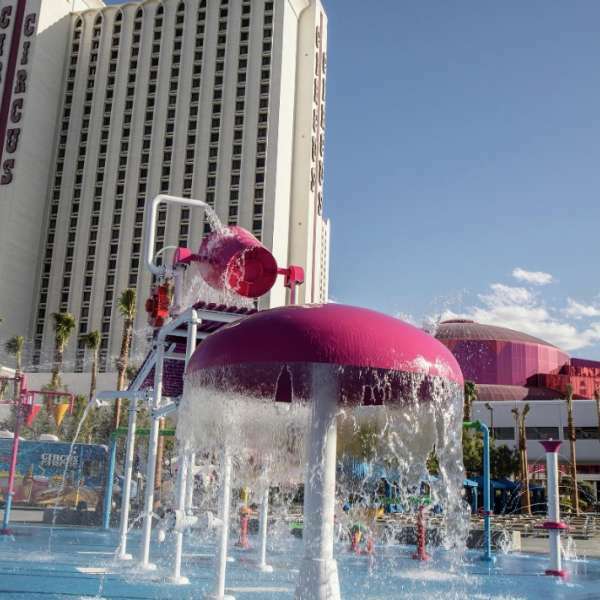 Access to Splash Zone Slide and Pool Complex is exclusive to Circus Circus - Las Vegas’ current registered hotel guests. The complex is subject to closure without advance notice. Enjoy the comfort of a shaded Cabana. Each Cabana includes lounge chairs, straight-back chairs, ceiling fan, TV, mini-fridge, safe and storage cabinet. Cabanas seat up to four people and pricing starts at $100. Limited number of cabanas available. Pricing starts at $100 and is subject to change. Cabanas may be reserved at the Splash Zone check-in desk or, in advance, by calling 702-691-5862. Relax in the Vegas sun! Enjoy over 3,000 square feet of fun in the sun at one of our free-form pools! Proceed to Promenade level, past Adventurdome toward the Skyrise Tower. Take the enclosed bridge walkway to the pool entrance. Hours of operation subject to change. Must be a current registered Circus Circus – Las Vegas hotel guest to access. Pool access includes 2 adults and 2 children. Extra fee for additional guests. Pool and slides are subject to closure and open seasonally based on weather.